Hey all and happy Monday! Hope you all had a fabulous weekend, especially since it was the weekend to celebrate Halloween! Didn’t do too much this weekend, it was super cold and I kind of forgot all about Halloween! 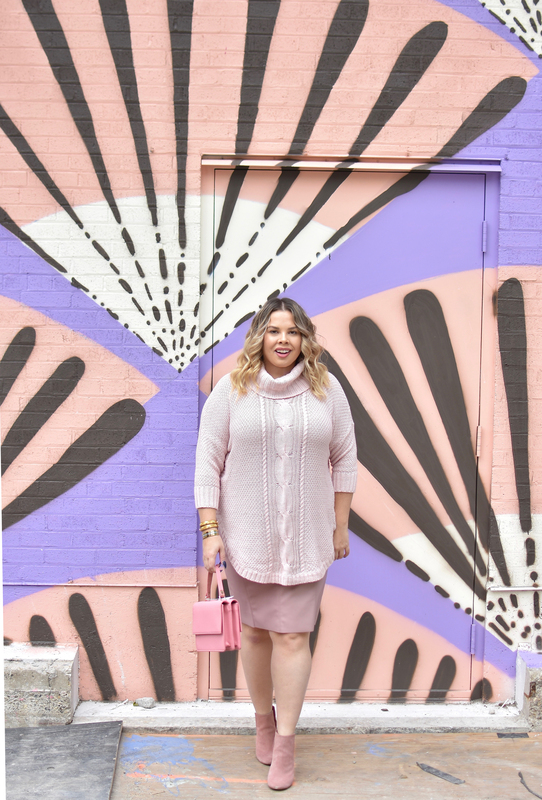 I love a good monochrome look, and light pink the perfect way to mix a little neutral with a little color. It’s light enough to be considered more neutral, but also colorful enough to add something other than black to your wardrobe! I really love leather for fall, and finding a good skirt is the perfect piece for the season. I love that Express made this skirt in a few colors, especially this pretty lighter pink shade. 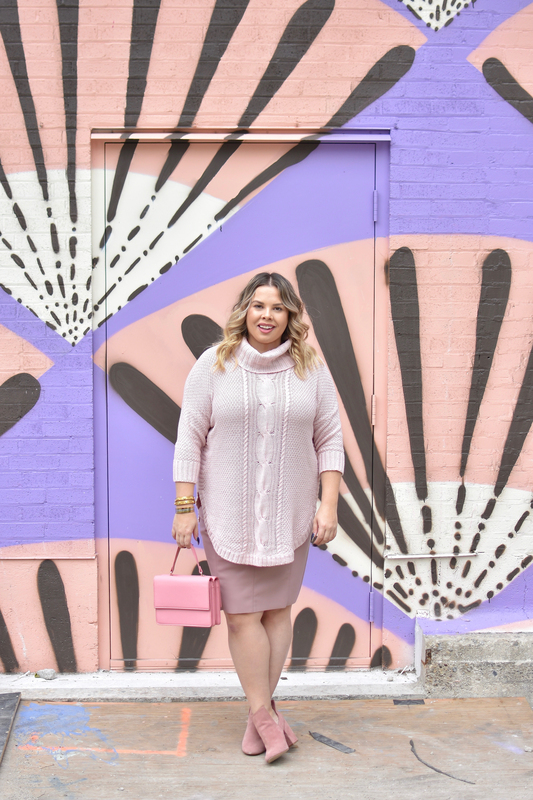 I had bought the sweater as well (along with a few other pieces), so I figured an all pink look would be a fun take on the sweater and leather skirt trend. I owned these pink booties from last fall, so they seemed like the perfect addition to this look. How do you feel about light pink for fall? Have a wonderful Monday and week ahead! Most reasonable standards, pink was the highlight. There will be lot to get off her chest, as always and if you are the slightness fan of confessional. It does not hurt at all that she fabulous singer a candor machine. Before you hear her belt and lordy, there will be belting you always hear her breathe. You look beautiful in this pink on pink look! Pink is definitely one of the cutest colors on you! You always style your outfits in the chicest way! I am loving this monochrome look babe! This color is so pretty too and I love that sweater. 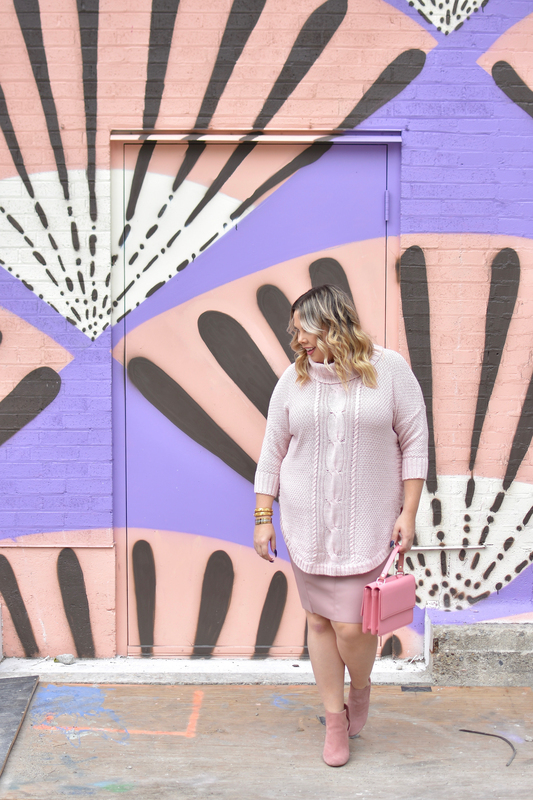 The monochromatic pink look is so much fun. Definitely a great twist on the typical fall “neutrals”. Pfft, who am I kidding? I certainly think of pink as a neutral! I am OBSESSED with monochromatic looks. Oh, this is beautiful! I love this monochrome blush look! This look is gorg, girl!! Loving all the beautiful shades of pink! This pink outfit is too fun! Love this! 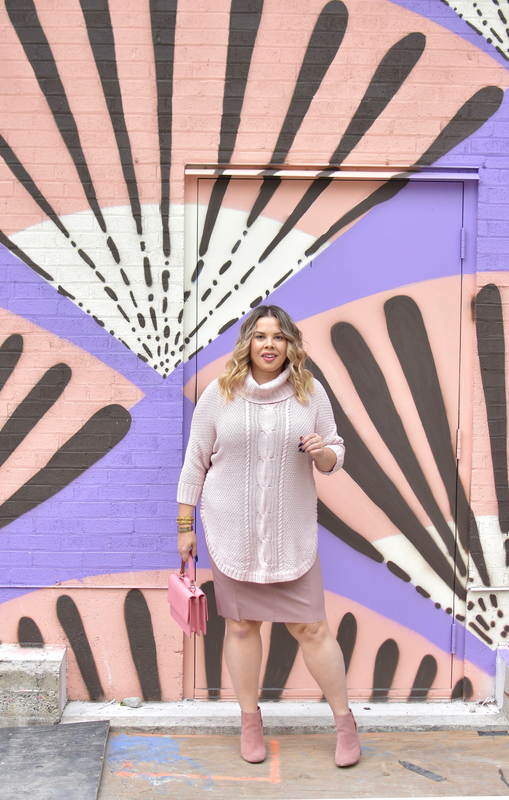 Love how you rock a whole pink outfit girl! Everything just fits together so well and those boots and bag are just life!! Monochromatic looks are my favorite! Love the mixed pinks and that fabulous skirt! Everything about this looks amazing. The background, the outfit, your hair. 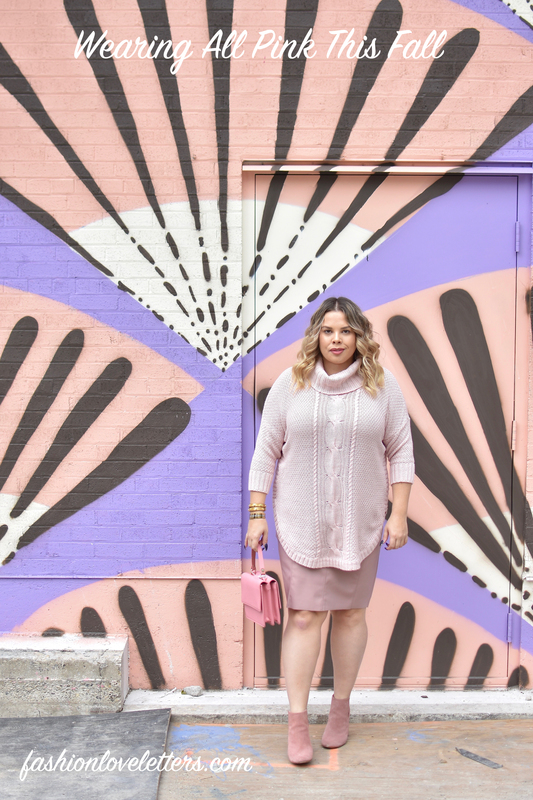 I’m really feeling “pinky” myself this Fall and I’m happy to see it as a trend right now. Thanks for sharing! This dusty rosy pink looks so stunning on you! super comfy and chic <3 I need to get a sweater in this color as well!